Steven G. Friedman Attorney - Steven G. Friedman Biography | National Legal Research Group, Inc.
Steve joined NLRG in 1999 after having worked for a Northern Virginia law firm. Steve focuses in the areas of Property, Family Law, Local & State Government, Evidence, and Zoning. 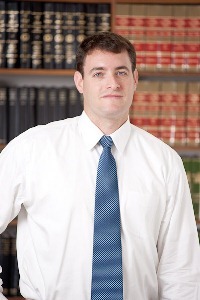 He has worked extensively in the following areas: foreclosures, real estate contracts, landlord-tenant disputes, easements, Title VII, the Americans with Disabilities Act, the Age Discrimination in Employment Act, and 42 U.S.C. § 1983. In addition, he has authored a number of appellate briefs, including a brief for the Fourth Circuit Court of Appeals in an employment discrimination case, and one for the Louisiana Supreme Court, dealing with attorney misconduct. Steve is also the editor of the Bill of Particulars, a monthly publication, with over 650 subscribers, for local government attorneys throughout Virginia. In his spare time, Steve enjoys reading fiction, cheering for the University of Virginia athletic teams and the Washington Redskins, and spending time with his wife and two young children. See a sample of Steven's work.